Thompsons Solicitors is the leading personal injury firm in Scotland and has a wealth of experience of acting for both minors and adults in high value claims for brain injury. We are a claimant-focused firm; this means that our service is entirely tailored to meeting the needs of those who have suffered injury through no fault of their own. All our brain injury claim clients in Edinburgh are assigned a dedicated solicitor who will make home and hospital visits when necessary, liaise sensitively with families and carers, and work to ensure a full understanding of the client's immediate financial needs. As such, if there are any pressing requirements for care, rehabilitation and support in the short-term, we will seek interim payments to cover the cost of these. 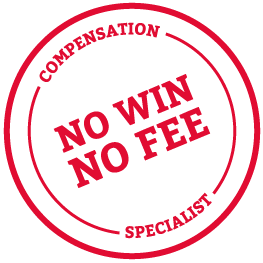 Initial consultations are free and Thompsons brain injury solicitors in Edinburgh are able to offer a range of funding options, including ‘no win, no fee'. Call 0800 0891331 today to discuss your circumstances and choices with one of our lawyers. According to brain injury charity Headway, more than one million people in the UK will visit hospital this year to seek treatment for a head or brain injury. This includes large numbers of children. The brain is the body's essential hard drive and any injury to the organ can be traumatic and, on occasion, life-changing. The most severe injuries can result in victims losing the ability to live independently, to communicate and to perform the most basic of tasks. Furthermore, even relatively mild brain injuries can result in a range of cognitive and personality changes; this can be troubling not only for injured parties but also for close friends, family members and colleagues. Other symptoms of a mild brain injury can include headaches, disturbed vision, difficulty with balance, and dizziness; many of these can be permanent or can take several years or rehabilitation to become manageable. As with all high value claims, claims for brain injury can be complex and demanding, particularly when they are for the most catastrophic of injuries. Thompsons is recognised as the leading personal injury firm in Scotland and prides itself on providing a sensitive, compassionate and personalised service. All brain injury clients have their cases represented by a dedicated, specialist brain solicitor who remains available throughout the claims process to help ensure not only the best possible legal support but also to ensure case management is of the highest quality to include other aspects of care, treatment, rehabilitation and associated forms of support. Our brain injury claim FAQs page can answer many of your most pressing questions. Whether you are looking to claim for an injury sustained in a car crash, work accident, fall from height or other circumstance, for information about making an appointment for free initial consultation, call 0800 089 1331 to discuss making a brain injury claim in Edinburgh today.